This morning, members of the Rotary Club of Hall met with participants of Marymead’s Urban Land Community Harvest (MULCH) to catch up on developments and to make an additional contribution to the project. One of the program participants accepted a cheque for $5,000 on behalf of MULCH from club President Janine Linklater. Work is ongoing in the propagation house. It was nice to attend and observe a normal day of activity. 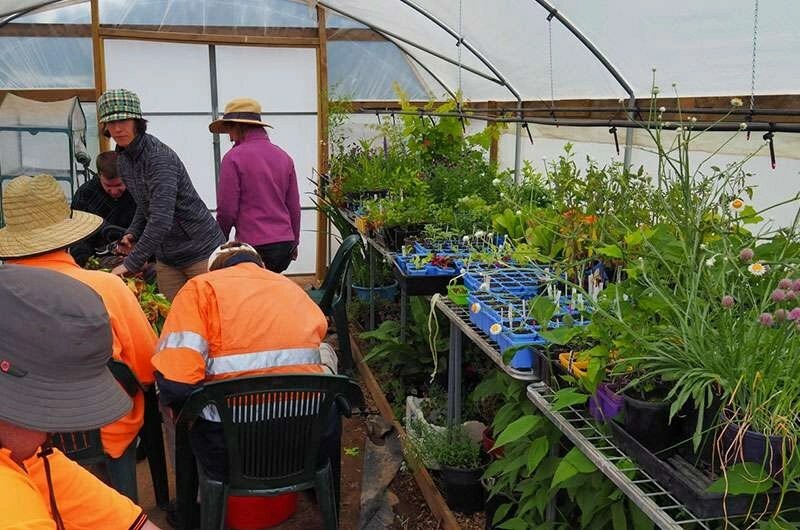 Participants with disabilities are assisted by carers to work in the garden. 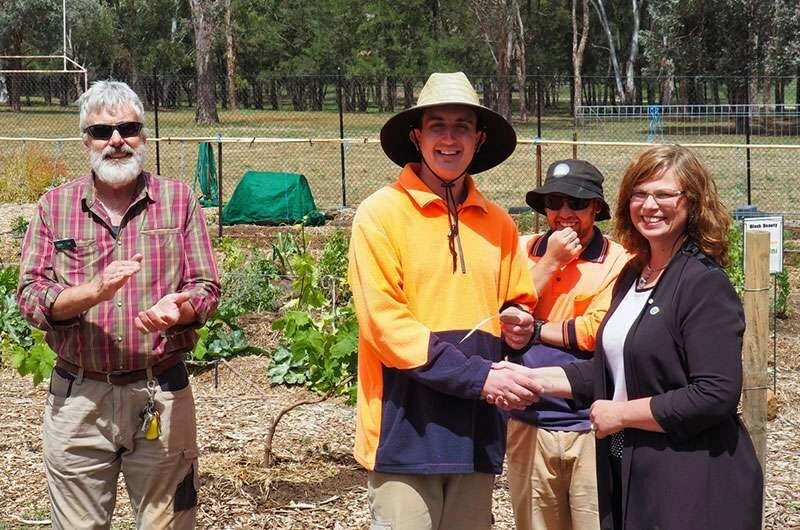 Not only are they learning new skills, but they get an appreciation for nature, for gardening and they gain a good understanding of food, composting and recycling. 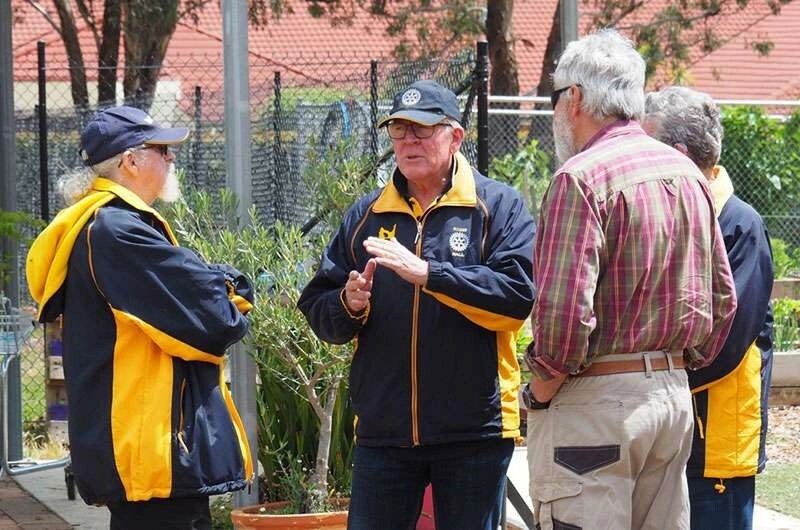 Rotary Club of Hall members discuss an upcoming ‘hands-on’ project with the MULCH Horticulturalist. ‘This project is incredibly rewarding, not just for the participants but for us as well. It gives everyone involved a real sense of community, a sense of belonging to something, which they otherwise wouldn’t have.’ stated Dirk, one of the regular assistants.